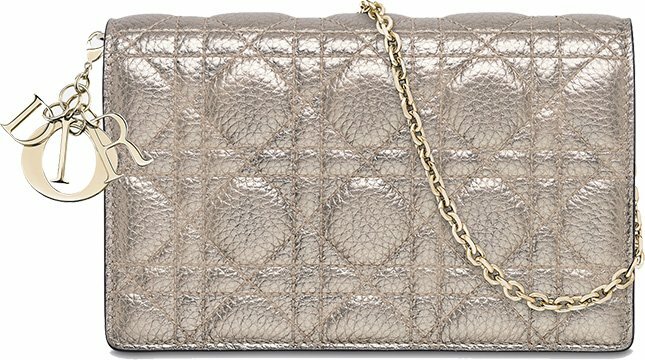 We’re not sure when Dior pulled this version of the WOC out of classic collection. 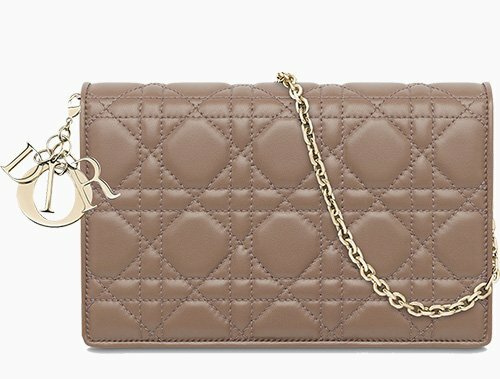 But we love the design because it features an extra thin leather chain and it’s reinforced with the DIOR logo on the front. The Cannage Stitching is also gorgeous. 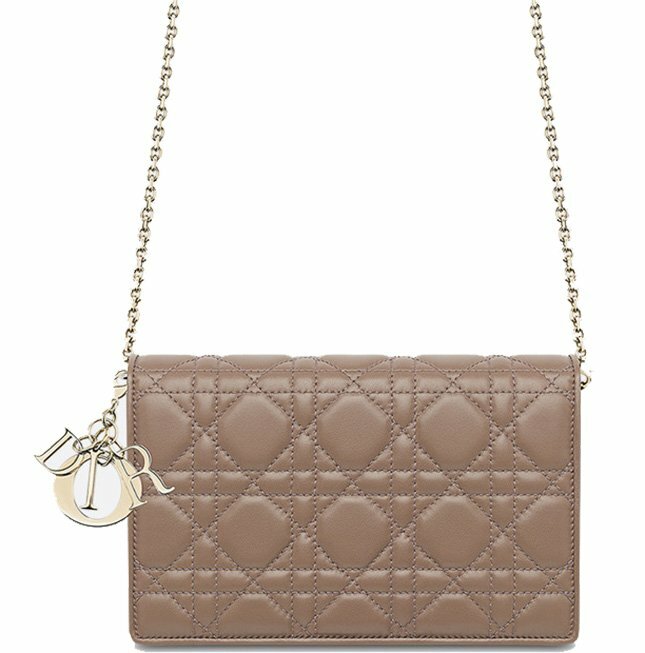 One major difference between the old and the new Lady Dior Bag is the Cannage Stitching. Can you spot the changes? The newer version of the WOC is crafted with Cannage Topstitching while the discontinued version is made with the classic Cannage Stitching. 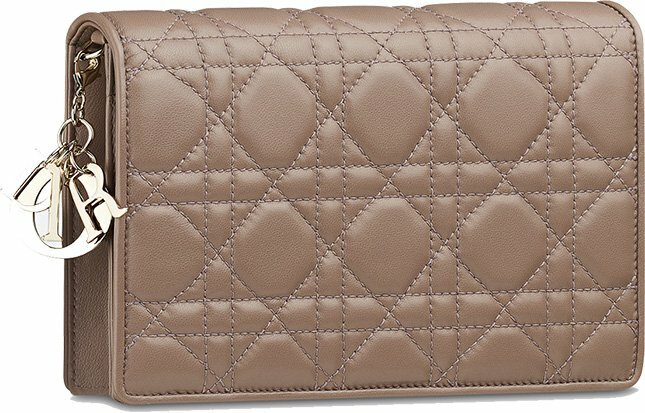 The second major difference is the DIOR logo. 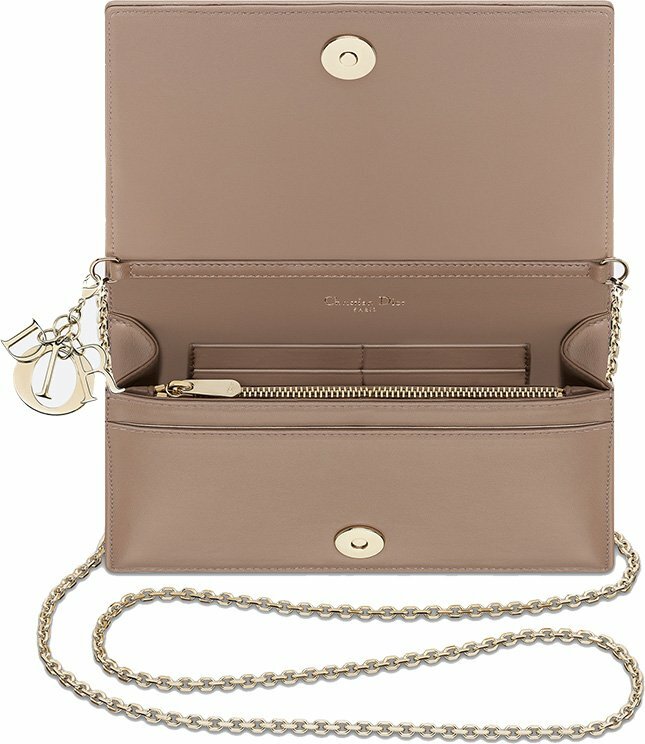 The newer version features the DIOR charm, which is attached on the side. 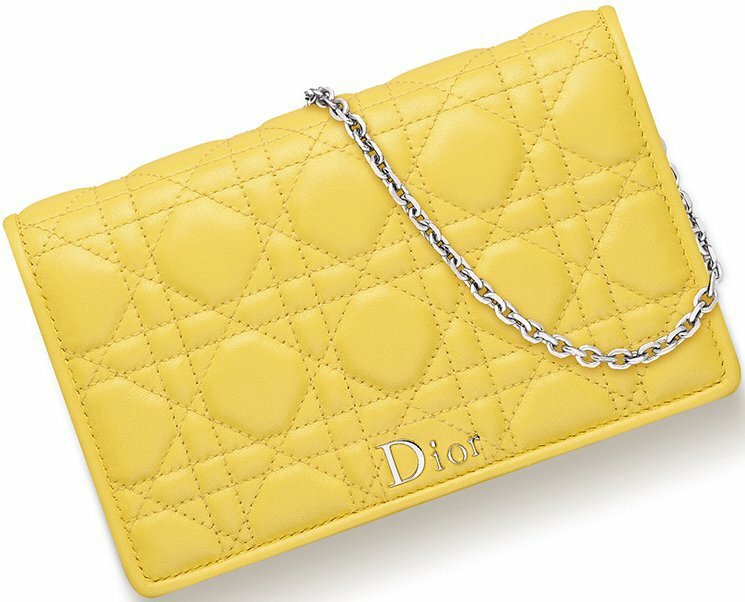 The discontinued version is designed with the DIOR logo on the front flap. So which one do you like? More over, the design of the chain is about the same. 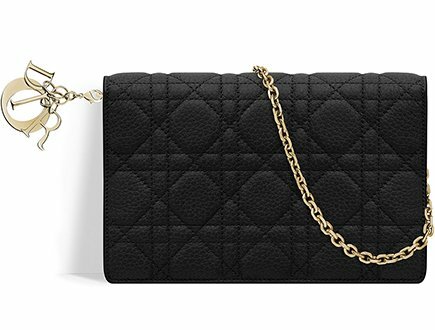 This chain can be removed in the newest edition, so that the bag can be changed into a clutch. So which version do you prefer? Let us know in the comment section. While the exterior looks a bit different, the interior is exactly the same. 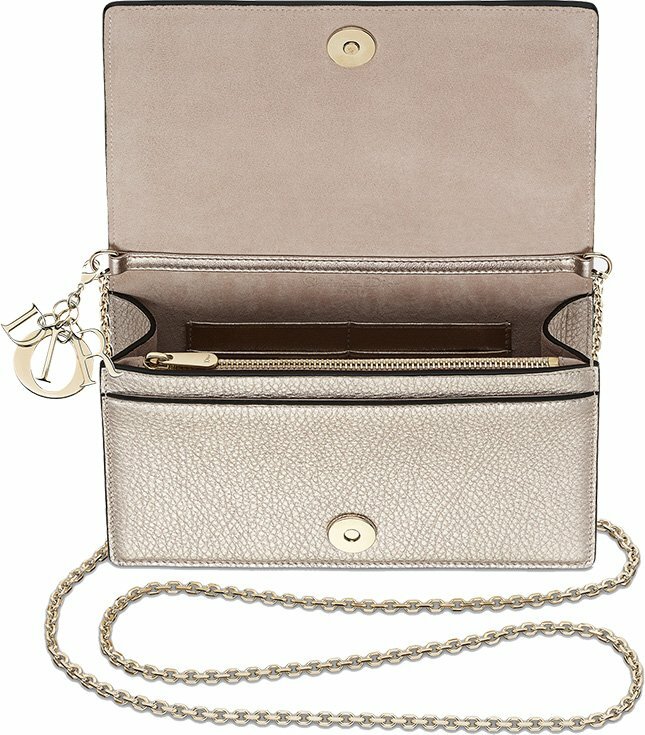 Both bags features an interior with 1 main compartment, 4 card slots, 1 flat pocket and 1 zipped pocket. The chain is 120 cm long. 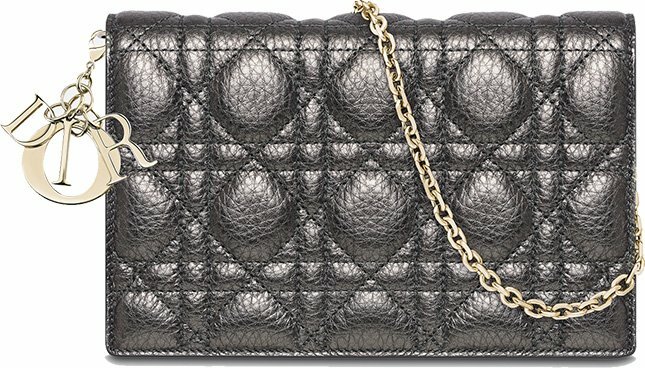 The newest version of the Lady Dior WOC is measured 19 x 12 x 3 cm and it’s priced at €1050 EUR, £1000 GBP via Dior boutiques.